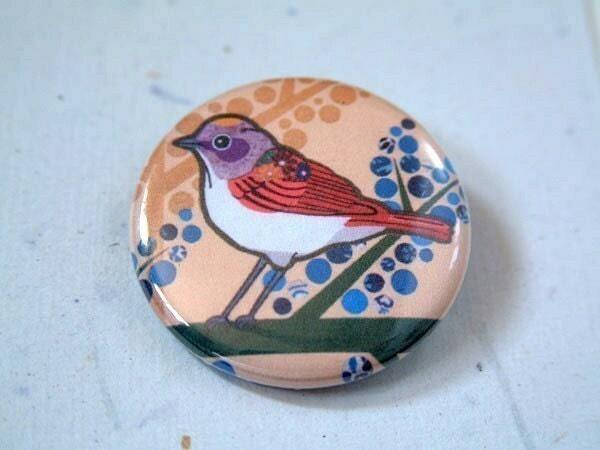 Lately I have been obsessed with little birds. I'm not much of a bird watcher, but I have been loving any fabric, pattern, jewelry, clothing, etc. with a little bird theme. When my friend Jenny was pregnant, she saw a quilt that she liked with little appliqued birds and trees. I adapted the idea and made this for her baby, Olive. Freebird quilt pattern from Moda (free pattern). This is on my list of quilts to make... it is a long list, so we will see when I get around to this.